You can call it a God Squad. An Alabama megachurch is seeking to establish its own police department — and a bill that would green light the force is already moving through the state senate. 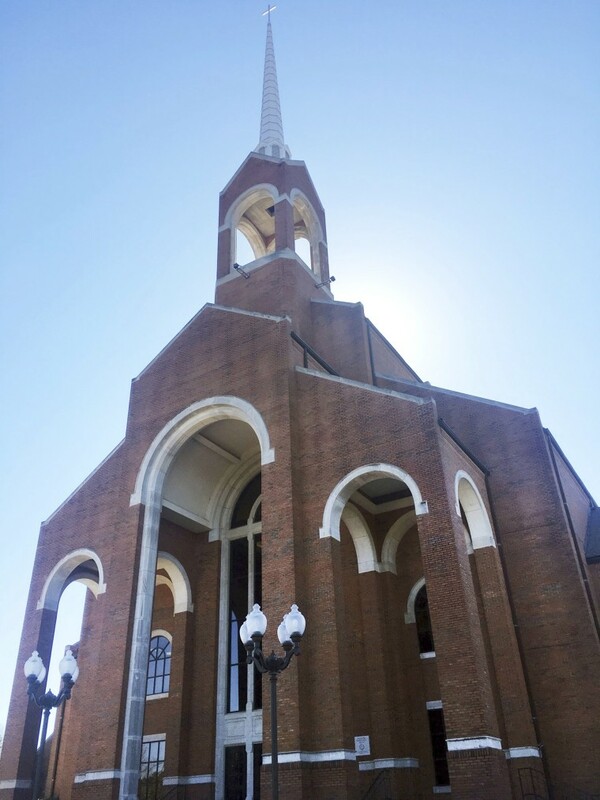 The 4,100-member strong Briarwood Presbyterian Church, located in suburban Birmingham, contends it needs its own police force to counter any potential threats because it is also home to a K-12 school and a theological seminary with 2,000 students and teachers. “After the shooting at Sandy Hook and in the wake of similar assaults at churches and schools, Briarwood recognized the need to provide qualified first responders to coordinate with local law enforcement," church administrator Matt Moore said in a statement, referring to the mass murder of 20 first graders and six teachers at the Sandy Hook Elementary School in Newtown, Connecticut by a deranged man with an AR-15 style rifle just before Christmas 2012. "The sole purpose of this proposed legislation is to provide a safe environment for the church, its members, students and guests." The church would pay the bill for its officers. Alabama law "provides for the employment of one or more persons to act as police officers at colleges and other private educational institutions," Moore wrote. Last week, Alabama’s Senate Judiciary Committee voted to send the bill, SB 193, to the full Senate for a full vote. The legislation has a powerful sponsor — Senate Majority Leader J.T. “Jabo” Waggoner, who represents the area and is one of the longest-serving members of the Alabama Legislature. The ACLU of Alabama is urging Waggoner and other lawmakers to vote no to the Briarwood police force — and no to another bill called The Alabama Church Protection Act that would enable to churches to tap gun-toting congregants for security and provide them with legal protections if they shoot anybody. “It’s our view this would plainly be unconstitutional,” Randall Marshall, the ACLU’s Acting Executive Director, told NBC News. Waggoner, whose voter biography lists him as a member of another church, did not return a telephone call and email to explain why Briarwood needs its own police force. But State Senator Rodger Smitherman, a Democrat who represents Birmingham, said he understands why the church would want its own force because "they are in a remote area." "I voted to get it out of committee after getting assurances that they would act like a real police force and they would not be an agency that covers things up," he said. That said, Smitherman added, "There are valid constitutional concerns and I think this issue needs to be properly vetted before the Senate votes on it." Local law enforcement said the church complex, which is located some 10 miles south of downtown Birmingham and straddles the Jefferson County and Shelby County border, is already policed by sheriff’s deputies from both counties. The area around it is also patrolled by the Vestavia Hills Police Department. “They also hire off-duty law enforcement to work special events,” said Sgt. Jack Self of the Jefferson County Sheriff’s Department. Asked why Briarwood wants its own force, Self said “that would be a question for them.” He also added that he’s never heard of church forming its own police force in Alabama. “Except for the Vatican,” Self said. In addition to the famous Swiss Guard, the Vatican is policed by the Corps of Gendarmerie of Vatican City and their chief responsibility is protecting the Pope and the millions of pilgrims who visit the center of the Roman Catholic Church. Alabama has given a few private universities the authority to have a police force, but never a church or non-school entity, the Associated Press reported, noting that opponents have expressed worries that churches would be able to cover up crimes.